The farm La Perulina is set within the ring of the 5 lakes (Sirius, PIstono, Black, COUNTRY and San Michele), in one of the most beautiful areas of Canavese. 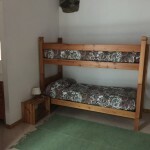 The property is thus located in a wildlife protected area. Being careful to the environment, the building hs a photovoltaic system that provideshot water and is used for the production of electricity. The structure consists of a rustic farmhouse where an old barn has been converted into a dining room where breakfasts and meals are served. 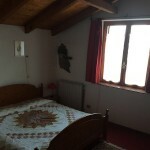 The rooms are in a detached cottage , they have been recently refurbished in the typical Canavese style , with finishes and wooden furniture. 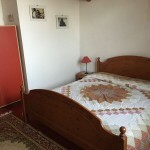 The property offers 3 rooms, one double and two mini suites- with double or twin beds for up to for guests. A room is suitable to accomodate a disabled person. 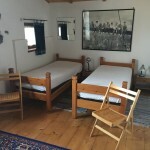 All rooms have private bathroom with shower. 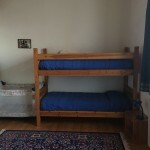 They are equipped with bed linen and bathroom towels and are heated by central heating system. We accept small and medium size dogs, upon agreement when booking.